Coffee, coffee, coffee! Just about everyone loves coffee, and I am no exception. Coffee gives you a reason to get out of bed in the morning, to hold a hot comforting mug in your hand, to gather in a “klatch” with your pals to discuss last night’s reality TV and to break up your day with a trip to Starbuck’s. I get it! I really do! There’s just something about coffee that makes the whole world buzz. That is why giving up coffee was the single hardest thing for me to do when I adopted my vegan lifestyle. Yes, you can still be vegan and drink coffee with soy milk or your favorite non-dairy milk or creamer. In fact, I recently fell off the wagon and started drinking coffee again after having been off the stuff for almost four years. But I started to feel crummy, which was really hard for me because I had been feeling amazing for so many years. Although I am not a doctor or a certified nutritionist, I attribute this crummy feeling to my coffee consumption. Hence, I have quit coffee once again. 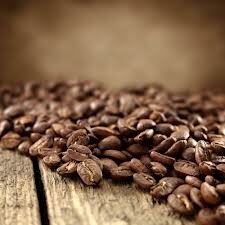 There have been many articles and news’ reports over the past few years praising the health benefits of coffee. Some of these claimed health benefits have included preventing dementia or Alzheimer’s disease, protecting against Parkinson’s disease and depression, protecting against certain types of cancer and providing a laxative effect. These claims may very well be valid, and I’m sure that there is scientific evidence to back them up. However, my common sense, logic, research, and instincts tell me that there are much better choices than coffee consumption to prevent medical conditions such as Alzheimer’s, Parkinson’s, depression and constipation. What about flooding your body with an abundance of fruits and vegetables to give your body the fiber and antioxidants it needs to fight these diseases, instead of relying upon coffee to do the trick? Dr. Neal Barnard’s new book entitled Power Foods For The Brain is aimed at using plant-based foods as medicine to prevent some of these diseases. I urge you to consider the negative health effects of drinking coffee, as well as the supposed benefits. Coffee consumption has been known to increase loss of bone mineral density by stealing calcium which can be lost through urine, leading to osteoporosis. Coffee, particularly when unfiltered, may contribute to high cholesterol levels. Caffeinated coffee may also cause raised blood pressure levels and increased homocysteine levels in the blood, presenting a risk factor for cardiovascular diseases such as stroke, heart disease and peripheral vascular disease. Since coffee is a diuretic, drinkers of coffee are at risk of dehydration. Drinking coffee may also cause sleep disturbances and, because it is highly acidic, can upset your body chemistry. This is why it is considered a “no-no” in macrobiotics and Ayurvedic medicine. These are just some of the negative health effects of drinking coffee. You may be wondering how I deal with my coffee cravings. My answer: find a great substitute! It’s just a matter of experimenting with different products to find ones that will help you kick your habit. Although you may not feel that life is worth living without your daily “cuppa joe” (and I get that), isn’t it worth a try to find some replacements that you may like even better? Okay, maybe not “better” but something enjoyable nevertheless? Yerba Mate is made from the naturally caffeinated and nourishing leaves of the celebrated South American rainforest holly tree. Although it contains the same stimulants as coffee, including caffeine, it does not have the same high acidity content. Moreover, Yerba Mate also contains an abundance of vitamins, minerals, amino acids and antioxidants, making it an excellent choice for a coffee replacement. Yerba Mate can be prepared in many ways: in a coffee machine, in a French Press or in the same way you would prepare tea. I like the Guayakí brand, which comes in a wide range of flavors and varieties. You could buy loose leaves, individual bags or ready-made drinks. My new favorite morning drinks are made with Guayakí’s individual bags in either the Chai Spice Mate or the Mate Chocolatté flavors, to which I add steamed soy milk, a touch of Stevia and sprinkle with cinnamon or cacao powder (I use my Starbuck’s Verismo Milk Frother to steam my soy milk). Teeccino is a fabulous coffee alternative that is made from herbs, grains, fruits and nuts. 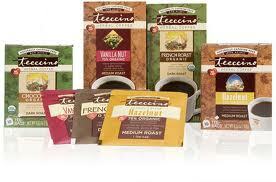 There are many flavors and varieties of Teeccino, and they are all nutritious and certified organic. You would make Teeccino the same way that you would make coffee, and the various flavors also come in individual bags for an instant cup. Carob, Chicory Root, Barley, Dates, Figs, Almonds, Ramon Seeds and Dandelion Root are examples of Teeccino herbal coffee ingredients. You just have to experiment to find the flavors that you like best. Yes, you read it correctly. This instant herbal beverage is made with the roasted roots of dandelion, chicory, beets, and the grains of barley and rye. It is also caffeine- and gluten-free, and has no acidity or bitterness. 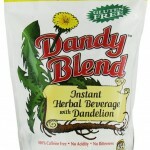 The Dandy Blend is my favorite coffee substitute, especially with Organic Wildwood soy creamer, my favorite brand. Not only is it nutritious but also simple to make. Just add one teaspoonful into a cup of hot or cold liquid! 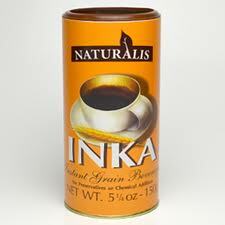 Naturalis INKA is an instant grain beverage that has been enjoyed by Polish families for generations. It is made from Rye, Roasted Barley, Beets and Chicory Root. Kaffree Roma is another popular instant grain beverage made with roasted barley malt and a touch of chicory. It is all natural and acid-free. 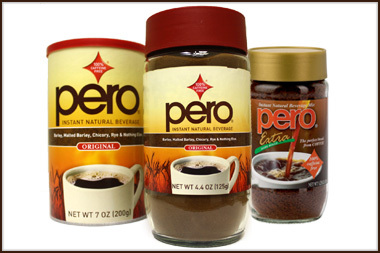 Pero is yet another coffee substitute made with malted barley, chicory and rye. I have never tried Pero, but I know that it’s quite popular. As with all of the grain coffee beverages, it’s just a matter of finding one that you like. Tea is by far my favorite substitute for coffee. Green tea has been known to be one of the healthiest beverages you can drink, and Matcha Green Tea is “off the charts” miraculous. Click here to read about my favorite varieties of loose-leaf tea. When I go to Starbuck’s with friends, I always order a Tazo Chai tea bag with steamed soy milk (i.e., a grande “chai tea soy misto”…no syrup flavoring). I make my own version at home too with my Starbuck’s Verismo Milk Frother. I hope you enjoyed this post about kickin’ the coffee habit, and I truly hope that you will at least consider nixing coffee from your life. I truly believe that drinking coffee can wreak havoc on your health despite some of the current evidence to the contrary. Again, I am no expert but am asking you to try it and see how you feel. 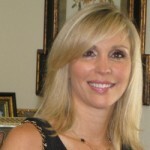 Great article Debby!!!! It is SO hard to give up coffee…I am down to one small cup in the morning, but just knowing I can have that to look forward to is so important. I like sone of these products you suggest, especially that “Dandy” one (and not just because of the silly name!) Dandelion root gets rid of liver toxins and it is SO good for your body. I just need to go for coffee rehab! Thanks Helen! I’m sure your one cup in the morning is just fine. Dandelion root is so healthy, and I really like the Dandy Blend. Debbie…I recently gave up coffee and had severe headaches for ten days…a few of those days I could hardly function because couldn’t focus…I now see the drug that caffeine is…I’m a bit confused on Yerba Mate…it “naturally’ has caffeine…can’t we say coffee beans naturally do also? Even though Y Mate isn’t acidic (which is great) it’s still caffeine…I don’t see the trade off here. Yes, you are absolutely right that Yerba Mate and various teas have caffeine. I don’t know the scientific reason (but I’m pretty sure there is one) why the caffeine in Yerba Mate and green teas don’t have the same negative drug-like effects as the caffeine in coffee. I, personally, find them to agree in a much kinder way with my body. I should research this issue, and get back to you. Perhaps the acids are what makes the difference. On Guayaki’s website, they explain that the “caffeine” in Yerba Mate is not caffeine but theobromine, which is also the so-called “caffeine” in chocolate and tea (theobroma is the Latin word for cacao; “theo” “broma” translates to “god” “food”, or “food of the gods”). Theobromine is an alkaloid that is similar in chemical structure to caffeine, but it doesn’t have as much of an energy high nor as much as an energy crash. That is why yerba mate, tea and chocolate don’t affect your nervous system as much as coffee does. Since caffeine is the more familiar alkaloid, people are told items that contain theobromine contain caffeine. Calling the theobromine in tea, yerba mate, and chocolate “caffeine” is a misnomer. 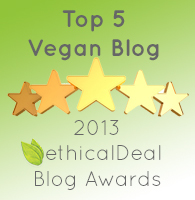 What a delight it was to find your blog! I’d given up coffee a couple years ago when I went plant based. It was great, for after 7 years of daily migraines that would never go away (10 years of regular migraines before that) I found myself migraine free. I would be hesitant to try the green tea, etc… but that’s just me and I have severe reactions to caffeine. 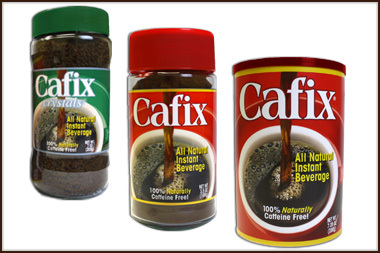 I love Cafix and am now just looking into eliminating gluten as well and was doing a search to see if cafix has it when your site came up. I look forward to checking out your other posts. Thank you so much for your lovely comment, Celeste! It’s really amazing how your symptoms and health can change when you change what you put into your body. So glad you beat those migraines! I’m a fellow vegan who totally agrees with you about the health effects of coffee. I feel lousy after I drink it. Not just the jittery feeling but the acidity in my stomach lasts for hours. 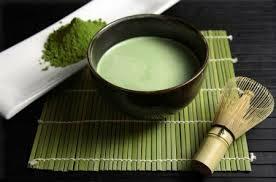 Black tea and matcha perk me up but never give me the jitters nor bother my stomach. My current favourite drink is a mix of Inka along with cocoa powder, carob, cinnamon, cardamom and a pinch of clove powder (huge in antioxidants.) Or a mix of any of the above, all stirred into almond milk on top of the stove. Yum! I am looking for a gluten free low histamine substitute for coffee.. do you know of any ideas? The dandy blend is not gluten free if it has barley or the in it. Thanks for sharing Sharon! Yes, I think I like Roma the best of all the coffee substitutes too. And I love green tea. It’s remarkable what a difference our foods and beverages make to our health, isn’t it? Thank you from the bottom of my heart – I will be a regular visitor to your website andThank you so much for all of that awesome advice. I am embarking on a coffee withdrawal tomorrow, because I already had a coffee outing with a girlfriend today. I am terrified! I know that’s silly, but I have a serious addiction. I only drink one cup per day, but I have been diagnosed with Interstitial Cystitis and even one cup is too much. 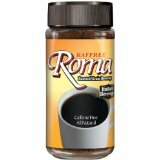 I called my husband and asked him to get some Roma or Caffix. I’m hoping I can make this a long term lifestyle change. Your post really helped me! What did you experience from getting off coffee. A friend of mine says to use the Master Cleanse to help. I hope your coffee-free endeavor is going smoothly! How is it going in a coffee-less world? When it comes to good health, giving up something usually means gaining much! Thanks for reading and commenting! Nice to see a more balanced view on our daily cup of Joe. BUT why nix coffee altogether??? My Doctor (aka my wife) said it best “You need to have a balanced intake of coffee”. Unless you are seriously allergic to it – have some – but make sure it is in moderate portions! As for a coffee substitute that is healthy, acid free, gluten free, caffeine free and tasty (I know, practically a miracle! lol) I recommend trying coffee made from date palm seeds. You can get it on http://dateseedcoffee.com but I guess there are other vendors too. If caffeine is not an issue, and you particularly like strong roasted coffee, I also recommend trying some strongly roasted Oolong teas from your local tea vendor. Greetings, is there a low potassium coffee alternative? How much postassium is in Pero? Do any alternative coffee products taste good? I’m trying to find something in the morning to quit my habit, for medical reasons. I’m looking for a coffee alternative and low potassium. How much potassium does say Pero have in it? Do any taste good? Let me know if you would like some samples. Never tried that product. Where is it available for purchase?